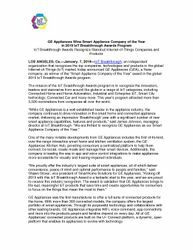 LOS ANGELES, Ca.—January 7, 2019—IoT Breakthrough, an independent organization that recognizes the top companies, technologies and products in the global Internet-of-Things (IoT) market, today announced GE Appliances (GEA), a Haier company,as winner of the “Smart Appliance Company of the Year” award in the global 2019 IoT Breakthrough Awards program. The mission of the IoT Breakthrough Awards program is to recognize the innovators, leaders and visionaries from around the globe in a range of IoT categories, including Connected Home and Home Automation, Industrial and Enterprise IoT, Smart City technology, Connected Car and many more. This year’s program attracted more than 3,500 nominations from companies all over the world. 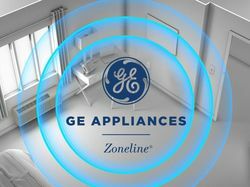 One of the many notable developments from GE Appliances includes the first-of-its-kind, over-the-range interactive smart home and kitchen ventilation system, the GE Appliances Kitchen Hub, providing consumers a centralized platform to help them connect, be social, create meals and manage their smart devices. Additionally, the company is leading the way in app and voice control integrations to make appliances more accessible for visually and hearing-impaired individuals. GE Appliances was the first manufacturer to offer a full suite of connected products for the home. With more than 300 connected models, the company offers the largest portfolio of smart appliances. Through its purposeful technology and collaborations with other leading brands, GE Appliances integrates WiFi, voice command, app connectivity and more into the products people and families depend on every day. All of GE Appliances’ connected products are built on the U+ Connect platform, a dynamic, open platform that enables its appliances to evolve with technology. IoT Breakthrough, part of the Tech Breakthrough Awards organization, is devoted to honoring excellence in Internet-of-Things technologies, services, companies and products. The IoT Breakthrough Awards program provides a forum for public recognition around the achievements of IoT companies and products in categories including Connected Home and Home Automation, Connected Car, Industrial IoT (IIoT) and Smart City, Consumer IoT and more. For more information visit IoTBreakthrough.com. 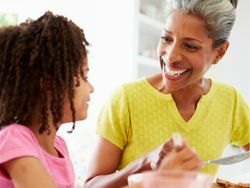 GE Appliances, a Haier company, creates “good things, for life” through our passion for great appliances and the happiness they can bring to every household. With the Hotpoint, GE®, Haier, Café™, GE Profile™ and Monogram® brands, owners have more choices for making their kitchens and homes amazing each day. Our products include refrigerators, freezers, cooking products, dishwashers, washers, dryers, air conditioners and water filtration systems. For more information, visit www.geappliances.com/our-company.